Amy Giannotti serves as the president of the Cambrian Foundation, a 501c3 not-for-profit organization based in Orlando. The Foundation is dedicated to research, education, preservation, and exploration of the aquatic realm. 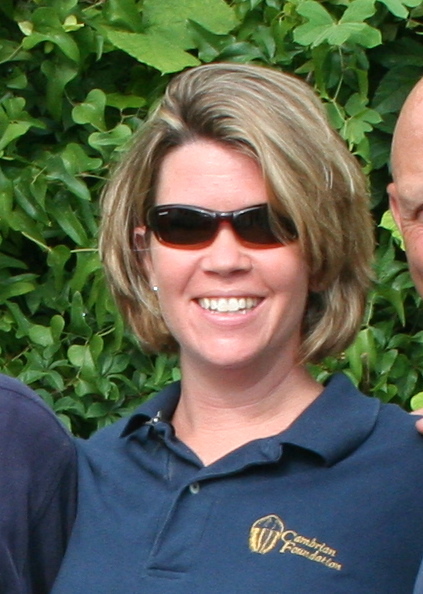 Amy is a marine ecologist, and is a former high-school science teacher and college instructor. Amy holds a B.S. in biology from Marietta College (OH) and earned her M.S. in environmental science at the University of Virginia in 1999. During her career with the Foundation and in conjunction with the Foundation’s research expeditions in Florida, Mexico, and Bermuda, she has initiated many educational and outreach programs, including a variety of projects related to the preservation of cave, karst, and groundwater systems in these regions. After spending six years with the Florida Fish and Wildlife Conservation Commission’s Invasive Plant Management Section, she is currently serving as the Assistant Environmental Resource Manager for the City of Winter Park. Her work examines the survival and spread of invasive plant species in freshwater habitats, and specifically considers the effect of urbanization on native plant restoration efforts. In addition, Amy is a consultant to the University of Florida’s Center for Aquatic and Invasive Plants and works to design and implement curriculum programs for elementary, middle, and high school students highlighting the impacts that exotic plants have on our native waterways.